The purpose of this article is three-fold: First, I want to be provocative and get readers thinking. Second, I wish to educate the reader on our founding principles. And third, I hope to encourage the reader to read the book Rethinking the American Union for the Twenty-First Century, written in part and edited by Donald Livingston, founder and president of the Abbeville Institute. I enjoyed the book immensely and wanted very much to help get the word out. I think the best way to encourage one to read the book Rethinking the American Union for the Twenty-First Century is to hook him or her using one of the more thought-provoking themes of the book. And so, this article is composed in great part using selected portions from one of the chapters in that book which I found most interesting – “American Republicanism,” authored by Livingston), with a discussion of nullification, interposition, secession, and federalism by myself. Credit, of course, goes first and foremost to Professor Livingston. Article IV of the US Constitution guarantees to every State in the Union “a Republican form of government.” It is known as the “Guarantee Clause.” It has not been widely interpreted, but constitutional scholars think it ensures that each State be run as a representative democracy or a dictatorship, preventing any initiative to change a State constitution to provide such. The Supreme Court has essentially acknowledged that it doesn’t have the slightest idea what it means, has been reluctant to specify exactly what a “republican form of government” means and has left the clause devoid of meaning. Historically, however, republics have had distinct characteristics, namely that its citizens make the laws they are to live under, that there is a Rule of Law, and that the republic itself be relatively small with respect to population and territory, to ensure that representation is meaningful. The American system of 1789 was not a republic. It was a federation of republics – each state itself a republic – but the Union itself was not a republic. “A federation of republics is not itself a republic, any more than a federation of country clubs is not in and of itself a country club.” Under the Constitution of 1787, the central government could rule over individuals but only under the powers delegated to it by the sovereign States. All other powers of sovereignty belong to the States, expressly reserved through the Tenth Amendment, by the natural law of sovereignty, and contractually by force of the compact theory characterizing the Constitution. Given this framework, the final safeguard for a truly republican form of government for the people in America was, and could only be, some form of lawful resistance to the concentration of coercion in the federal government, which includes state interposition, nullification, or secession. These remedies are included in the “reserved powers” belonging to the States. Nullification is a legal theory that holds that a State has the right to nullify, or invalidate, any federal law which that State has deemed unconstitutional. If the authority for the federal government only comes from the highly-contested and debated powers that the States agreed to delegate from their reservoir of sovereign powers, as listed in the Constitution, any federal law, policy, action, or court decision that exceeds such grants of power is “null and void” and lacks enforcement power. Since the federal government will always seek to support and enforce its laws and actions, it must be the States, as the parties to the Constitution and the ones which suffer the usurpation of powers with each unconstitutional action, which must rightfully declare “unconstitutionality” and prevent them from being enforced on a free people. Because the right of nullification is not prohibited by the Constitution (nor is it even addressed), it is reserved by the States under the Tenth Amendment. Interposition is another claimed right belonging to the States. Interposition is the right of a State to oppose actions of the federal government that the state deems unconstitutional by in order to prevent their enforcement. The very definition of a tyrannical government is one that imposes unconstitutional actions on its citizens. Tyranny is arbitrary rule. Interposition is the actual action, whether legislative or otherwise, to prevent an unconstitutional federal law or action from being enforced on its people. The most effective remedy against unconstitutional federal action, as emphasized by both Thomas Jefferson and James Madison, is nullification together with interposition. Interposition finds its roots in the Supremacy Clause. While the Constitution and the laws made in pursuance are considered the supreme law of the land, laws (and other actions) not grounded in rightful or legitimate Constitutional powers are not supreme and the States are well within their powers to prevent such usurpation of government power belonging to their sphere of authority. Secession, like nullification and interposition, is not prohibited by the Constitution (or even addressed), and hence, is a reserved right of the States. Nullification and interposition were invoked in 1798 by Kentucky and Virginia to identify the Alien & Sedition Acts as unconstitutional and to prevent citizens of those states from being imprisoned essentially for their exercise of free speech and press. Secession was threated in 1815 by Massachusetts after it characterized Jefferson’s embargo against Great Britain and his Louisiana Purchase and then Madison’s War of 1812 as a history of abuses against the North, with an intent to further the interests of the South. All three States’ Rights’ remedies were regularly invoked in the antebellum period, in every section of the Union, to assert State sovereignty and to constrain the central government. As of 1860, the central government was out of debt and imposed no inland taxes. It existed simply off a tariff on imports and land sales. The Supreme Court was tightly constrained in its exercise of judicial review. It challenged the constitutionality of acts of Congress only twice – in Marbury v. Madison (the Judiciary Act of 1789) and the Dred Scott decision (the right of a slave to challenge his status in a non-slave state when brought there by his master). States and localities in almost all States in the North refused to comply with the Fugitive Slave Act (nullification), either by statue or by civil acts of disobedience, and most strikingly, the Wisconsin legislature and the State Supreme Court in 1854 and 1859 outright challenged the constitutionality of the Act (citing coercion of the states and state officials). South Carolina nullified the Tariff of 1828, citing the improper nature of the tariff, changing it from an ordinary tariff (for revenue collection for the government) to a protectionist tariff (to provide direct funding of “improvements” for the North, as well as other enormous benefits), and claiming it was nothing more than a federal scheme to directly enrich the North at the great expense of the South. Ask yourself this: Which branch of government ruled out the essential and natural remedies of nullification, interposition, and secession? The answer is the US Supreme Court, supporting the ambitious plans of the federal government and improperly relying on Marbury v. Madison (1803) and the Supremacy Clause of the US Constitution for authority. For a State to treat its decisions with less than full support would bring the full resources of the federal government into its backyard. It’s happened before. Andrew Jackson, Abraham Lincoln, Andrew Johnson, Franklin D. Roosevelt, Harry S. Truman, Dwight D. Eisenhower. Rather than interpreting the Constitution, which pretty much is its sole task, the Supreme Court has redefined a new political and government system, one that is quite different from the one entrusted to us by our framers and founders. When authority taken by the federal government falls outside of the enumerated powers, it makes no sense to ask the federal government to rule on whether the federal government has the power or not. The States, the ones which debated and ratified the Constitution for THEIR benefit, have no umpire on the bench. As historian Tom Woods points out, if the federal government is allowed to hold a monopoly on determining the extent of its own powers, we have no right to be surprised when it keeps discovering new ones. So, it is no surprise that the Supreme Court consistently and steadily handed down decision after decision to strip the States’ of their natural remedies against the Titan seeking to subjugate them – the federal government. Again, the Supreme Court is itself a branch of the very government that seeks to benefit from the consolidation of power it wants by weakening the States. What better way to get the States to calm down and get in line? If you believe, as most Americans seem to believe (because of government indoctrination), that States no longer have the rights of nullification, interposition, and secession because of the action of one man, a virtual dictator, Abraham Lincoln, then you must reconcile the fact that no State any longer enjoys a republican form of government, as guaranteed in Article IV. That is, they no longer enjoy a republican form of government under any historical understanding of what such a government is nor under the vision of our founders. That notion has now decayed into a legal fiction. But if the States are not republics, what are they? Donald Livingston argues that the answer was given by Alexis de Tocqueville in his assessment of the French Revolution. According to de Tocqueville, the French revolution was intended to overturn the monarchy and return power to the people by creating a republic but in reality, it fundamentally changed nothing. The coercive government of the monarchy was simply replaced by a different type of coercive government. The monopoly over government and land created by Kings (Divine Right of Kings) is a doctrine that embodies two bodies of the king. This duality is symbolized by this famous phrase: “The King is dead! Long live the King!” The first body of the king was the flesh and blood; the mortal body. The second body was the monopoly, or the artificial corporation, established by birth-right and familial ties. Both bodies are coercive in nature since they are not “of the people” and can never truly represent them. When de Tocqueville said that the French Revolution fundamentally changed nothing, he meant that all that it did was kill the first body of the king. It left the second body of the king intact, merely changing its name from the “Crown” to the “Republic.” The revolution merely replaced the person of the king with a fictitious “nation-person.” In other words, what was created after the French Revolution was an absolute monarchy without the monarch; a regime that had all the major defects of a monarchy but none of the benefits. The post-French Revolution era of “republics” would increase government centralization beyond the wildest dream of any monarch. The German economist, Hans Hoppe, estimates that before the mid-nineteenth century, monarchs, as bad as they might have been, were never able to extract more than 5-8 percent of the gross national product (GNP) from the people, whereas “republics” have been able to exploit over 60 percent. In his war to prevent Southern independence, Lincoln and the perversely-named “Republican” Party destroyed the two American institutions that had made true republicanism possible in a region on our continental scale – State nullification and secession. Without these rights, there can be no practical check to centralization and oppression of government, and hence, no practical way to ensure that the People of the several States are guaranteed a republican form of government. Is it possible to have an exceedingly large republic, such as the size of our current-day United States? British philosopher David Hume once considered the question of a large republic. He proposed the first model of a large republic in his essay “Idea of a Perfect Commonwealth,” which was published in 1792. Hume’s model did not physically seek to divide territory up physically into individual sovereigns but rather to decentralize government power so as to preserve the human scale demanded of republican self-government. The question is whether this can realistically be done. Hume agrees with the republican tradition that “a small commonwealth is the happiest government in the world within itself.” But Hume’s model of a large republic, in contrast to the historically small republic, would be to order the large republic in such a way as to have all the advantages of a little republic. The question is whether Hume’s model is translatable to the real world: Can the size of a republic be expanded without destroying those values unique to republican government (self-government and the rule of law) that require a human scale. Hume’s idea of a large republic is something of the size of Great Britain or France. (Remember his essay was written in 1792!) As a comparison, Great Britain is approximately equivalent in size to Wyoming and France is approximately equivalent in size to Texas. In Hume’s model, the republic is divided into 100 small republics, but with a national capital. Each of these small republics is then divided into 100 parishes. The members of each parish meet annually to elect 1 representative. This yields 100 representatives in each small republic’s legislature. The legislature selects from among its members 10 magistrates to exercise the executive and judicial functions of the republic and 1 senator to represent the republic in the national capital. That yields 100 senators, from among which 10 are chosen to serve as the national executive and judiciary. Laws would be proposed by the national senate and passed down to the provincial republics or ratification. Each republic has one vote regardless of population, and the majority rules. To free the provincial legislature from having to vote on every trivial law, a bill can be sent instead to the ten provincial magistrates in each republic for ratification. How does Hume’s large republic compare to the “highly-centralized regime” that the United States has become today? Hume’s republic has 100 senators in the national capital representing the individual States, as we do. But the legislative body representing the nation of individuals is located in the several capitals of the provincial republics. This provides three essential advantages. First, it provides a better and more republican ratio of representation to population. Hume’s republic is the size of Britain, which in his time had some 9 million people; yet his regionally dispersed legislature jointly yields 10,000 representatives. [100 x 100]. By contrast, the United States has 305 million people, which is 34 times as many inhabitants. Its representative body contains not 10,000 representatives but only 435 representatives – a number that Congress capped by law in 1911. Hume’s large republic provides a ratio of 1 representative for every 900 people, and so it is of a republican scale. This is very important !! The United States’ system provides 1 representative for every 700,000 people, which is not even remotely within a republican scale. And if you are thinking that this unrepublican character of the United States can be remedied by abolishing the law setting the cap at 435 and increasing the number of representatives in the US House, you will need to understand that judging by the size of legislatures around the world, 435 is just about the right size for a lawmaking body. Everything in nature has a proper size for optimum functionality. A cell can only grow to a certain size (a certain volume-to-cell-surface ratio) so that it can absorb nutrients, eliminate waste, and respire most efficiently. A jury of 12 is perfectly suited to determine the facts of a case; a jury of 120 would be dysfunctional. When the first US Congress met in New York in 1789, there were 65 representatives. There was 1 representative for every 60,000 people. James Madison thought that was an inadequate ratio to adequately represent the people in a republic. When the number of representatives was capped at 435 in 1911, the population in the United States was 93,863,000. That means that there was 1 representative for every 215,777 inhabitants. If we were to use the same ratio that was used in 1789 – 1: 60,000 – there would be over 5,000 members in the House of Representatives. This would be impossibly large for a lawmaking body. Size does matter. So, if the number of representatives in Washington DC cannot be increased as the population increases, then we have clearly reached the point where talk of republican self-government is utterly meaningless. We are merely a republican in name only. In the not too distant future, the population of the United States will reach 435 million. This would yield one representative for every million persons. Who could honestly believe a regime under this system could be described as a republic? The point is that a country can literally become too large for self-government. It becomes unresponsive to the people because its representatives cannot possibly represent the interests of all its constituents. If the United States has indeed reached the point of political obesity, then the only remedy would be to downsize. The United States will need to be downsized either through peaceful secession movements or through a division into a number of federative units forming a voluntary commonwealth of American federations – an idea that Thomas Jefferson was fond of. For the moment, let’s put peaceful secession aside (which would divide the Union into distinct territorial jurisdictions or would create individual, independent sovereigns). Suppose that the United States adopts such a model as Hume’s large republic. This would require abolishing the House of Representatives in Washington DC (Yay!) and transforming the State legislatures into a joint national legislature. The Senate would propose legislation to be ratified by a majority of the States, each State having one vote. Consider trying to enact the unpopular legislation passed in 2009 and then 2010 under such a model. Of course, I’m referring to the Bailout bills and the stimulus packages of 2009 and then the Patient Protection and Affordable Care Act (or grossly referred to simply as the “Affordable Care Act’; or aptly named “Obamacare”) of 2010. A strong majority of Americans opposed the bailouts for the monster banks whose corrupt and inept policies caused the financial meltdown in 2009, the economic stimulus packages that they knew wouldn’t work, and Barack Obama’s healthcare plan of some two thousand pages, rushed through after secret meetings and secret deals and with publicly-acknowledged privileges given to some states and not others, and admissions by its leading supporters (Democrats) that they hadn’t even read it. To this should be added that many believe that Congress has no constitutional authority to bailout businesses, let alone arbitrarily choosing which ones to provide federal aid, nor to impose a national healthcare plan, regardless whether it is good or not and whether or not it would help certain citizens out. Now, had these bills been sent down to the State legislatures for debate and ratification, as required by Hume’s large republic model, their defeat would have been so certain that they probably would never have even been proposed in the first place. The second advantage presented by Hume’s model is that by dispersing the national legislature among the provincial republics (the smaller republics), he has eliminated the corruption that inevitably comes from putting the House of Representatives and the Senate in the same place. The number of representatives in Washington is 435 in the House, and 100 in the Senate– for a grand total of 535 lawmakers. A majority of this number is only 269. This small number rules 305 million people. And the majority can be even less, since both houses can lawfully operate, and they often do, with a mere quorum. A quorum majority of both houses of Congress is only 135 !! Consider also that the US Supreme Court, centered in DC, a branch of the federal government, with justices who are appointed according to political and ideological lines – and not for proven understanding and adherence to the Constitution – has usurped the traditional “police powers” of the States, which it exercises for the health, safety (including law enforcement), welfare, education, religion, and morality of its citizens. The police powers exercised by each individual State for the benefit of its own people is the very essence of republican life. Nine unelected Supreme Court justices with life tenure – by only a vote of 5-to-4 – make major social policy for 305 million people. Political issues that are reserved to the States, such as abortion, marriage, and voter integrity laws, have been taken out of the policy arena and magically transformed into “constitutional rights.” This means, in effect, that the Court can rewrite the Constitution at will, entirely by-passing the process specifically provided for in Article V (ratification of any alteration/amendment of the Constitution by a ratification by three-fourths of the States). Again, to think that five members of a high court can usurp lawmaking authority from the legislature (popularly-elected), can usurp powers from the States, and can transform the meaning and intent of the Constitution from the bench rather than the lawful process specifically put in place for the People themselves to define the limits of their government and we are still a republic is ludicrous. Dispersing the legislatures among provinces would not necessarily get rid of government corruption, which is one of the biggest problems with a consolidated government. However, it would not exist on the same scale and of the same intensity that we see in DC today. Hume’s national legislature sits jointly in the 100 provincial capitals. That means that a lobbying interest must deploy a much greater number of lobbyists and over greater distances. In addition, it would be much more difficult for representatives to coordinate with each other to buy and sell votes, as is routinely done in Congress today. With such a large republic, representatives would be more cautious and frugal in spending taxpayer money. After all, the 10,000 dispersed representatives who live in the same neighborhood with their constituents would have to look them in the eye and would have to answer to them. Third, Hume provides a number of checks to prevent a faction from dominating the whole. If the senate rejects a proposed law, only 10 senators out of 100 are needed to veto that decision and forward the bill to the republics for consideration. Laws thought to be trivial can be sent from the senate to the ten magistrates of the republic for ratification instead of calling on the whole legislature. But only 5 out of 100 provincial representatives are needed to veto this and call for a vote of their legislature. Each (small) republic can veto legislation of another republic and force a vote on the matter by all the republics. Should the United States be divided up into provincial republics – into a “federation of republics” – in order to provide a true republican form of government to its people? Thomas Jefferson thought so. George Kennan, esteemed historian and American diplomat (crafted the US policy of containment with respect to the Soviet Union) also thought so. In his autobiography, Around the Cragged Hill, Kennan argued that the United States has become simply too large for the purposes of self-government. As he argued, the central government can rule 305 million people only by imposing one-size-fits-all rules that necessarily result in a “diminished sensitivity of its laws and regulations to the particular needs, traditions, ethnic, cultural, linguistic, and the like of individual localities and communities.” Kennan passed away in 2005. That the lives, property, income, and fortunes of 305 million Americans should be the playthings of an oligarchy in Washington that can act by a majority in Congress of only 269 (and 135 if acting by a quorum) and that the essence of republican life – religion, morals, education, marriage, voting rights, law enforcement, and social welfare – should be decided by nine unelected Supreme Court justices is something no free, liberty-minded people should tolerate. Of course, there is the other option – secession and the formation of individual republics, not held together in federation form. It is said that secession should and must be ruled out because it causes war and it will necessarily involve bloodshed. But that is not necessarily true. Of course it will depend on the ambitions of the administration in Washington DC, in particular, the president. We would hope that we should never again suffer the likes of another Abraham Lincoln. But there are many examples of states that have seceded peacefully, including a number of Baltic states from the former Soviet Union. Norway peacefully seceded from Sweden in 1905 and Singapore did so from the Malaysian federation in 1965. Eventually, if things don’t change and freedom’s flame is close to being extinguished, secession may be the remedy to save the American experiment. Additionally, it may be the only way to save the US Constitution – by putting it in the hands of a people who will take care of it and be much more vigilante with its limited powers and its checks and balances than Americans have been. When 11 Southern States seceded from the Union in 1860-61 and formed the Confederate States of the American, they, as a Union, established a new constitution. This would be the third constitution that Americans made for themselves, and in most respects, it was far superior to the one of 1787 – they backed out of. It included several provisions which would have made it much more difficult for the central government to concentrate and usurp power. Had Lincoln respected the States’ right of self-determination (as proclaimed in the Declaration of Independence), we would have had the unique opportunity to compare, side-by-side, how each Union of States (North or South) fared under their constitutions. The point is that secession gave the People (acting in State conventions) the opportunity to correct the defects in the Constitution that caused them to be oppressed by government. The question will be: when that time comes (and maybe it is already here), will we have the Will to Secede!! Already, between 19-34% of Americans (ranked by State), now believe we would be better if States peacefully left the Union. Donald Livingston closes his discussion of “American Republicanism” with this summary: “When a healthy cell grows too large, it divides into two cells. It is the cancerous cell that no longer knows how to stop growing. That artificial corporation, created by the individual States over two centuries ago, called the “United States” has, over time, metastasized into a cancerous growth on a federation of continental scale, sucking republican vitality out of States and local communities. The natural chemotherapy for this peculiar condition is and can only be some revived form of State interposition, nullification, or secession. If these are rejected out of hand as heresies (as our nationalist historians have taught since the late nineteenth century), then we can no longer, in good faith, describe ourselves as enjoying a republican style of government. Again, I encourage everyone to read the entire book – Rethinking the American Union for the Twenty-First Century. Aside from Donald Livingston, accomplished authors and academics Kent Masterson Brown, Dr. Thomas DiLorenzo, Dr. Marshall DeRosa, Yuri Maltsev, and Rob Williams also contributed chapters. Donald Livingston, ed., Rethinking the American Union for the Twenty-First Century, Pelican Publishing Company, 2013. To those who are serious about preventing the federal government from coming after our Second Amendment rights, please read and take note….. If you really want to make a difference and prevent the government from infringing on our Second Amendment, you have to actively support Nullification as a remedy and propose nullification measures to use the power of the States and the People to protect THEIR protections expressly stated in the US Constitution – the Bill of Rights. I’m not saying you have to necessarily come out and use that word, but you absolutely need to support the concept. Remember what the preamble to the Bill of Rights emphasizes: “The Conventions of a number of States having at the time of their adopting the Constitution, expressed a desire, in order to prevent misconstruction or abuse of its powers, that further declaratory and restrictive clauses should be added, and as extending the ground of public confidence in the Government, will best insure the beneficent ends of its institution.” In other words, amendments One through Nine are “further restrictions on the federal government” while the Tenth is a further declaration of the intent of the Constitution (as a compact) – that the States have only delegated a select few of their sovereign powers to a common government for common purposes – for a “common defense” and some regulation of commerce between the States where it was necessary to ensure free trade – and they retain and reserve the remainder of them. You MUST start talking about the Constitution in terms of Compact Theory and reject any characterization of the country as a Union of people rather than States (Lincoln’s rhetoric). Only when the Constitution is once again referred to and characterized as it was intended – a compact (history is complete with its references and justifications, including from all our Founding Fathers, the Constitutional Convention of 1787, from the writings of our two greatest founders Thomas Jefferson and James Madison, the State Ratifying Conventions, and even Article VII of the US Constitution itself), can we stand on the firm ground necessary to reassert our position – that the government has no authority to burden the rights recognized and protected in the Bill of Rights and indeed which formed the very basis for our independence from Great Britain. Compacts have implicit rights and remedies reserved to its signing parties, very similar to contract law and even agency law. This is the only way you fight back against the designs of our present bloated, self-serving government. These bold assertions and the strong political posturing of States will put the government on notice and equally will put the US Supreme Court on notice as well. They move forward with gun control measures, they do so at the peril of the stability of the United States. Petitions don’t amount to a hill of beans. Over 60% of the American people showed their opposition to government-mandated healthcare but the government went ahead with it anyway. In a politically-incorrect and realistic world, laws are supposed to protect the good people and encourage constrained behavior for the benefit of an ordered and healthy/happy society. A person should always be free to exercise his or her God-given rights and freedoms UNTIL it burdens another’s free exercise thereof. Laws are also supposed to punish the bad people and DISCOURAGE bad behavior. Our government is talking about Gun Control from an incorrect point of view with respect to the purpose of laws. It seeks to punish good people because of the actions of bad people. In doing so, it will punish good people from doing what God inherently intended people to do – protect themselves, their families, and their property, using whatever means necessary to stop the evil. The very definition of a criminal or the criminally-inclined is a person who doesn’t obey laws. 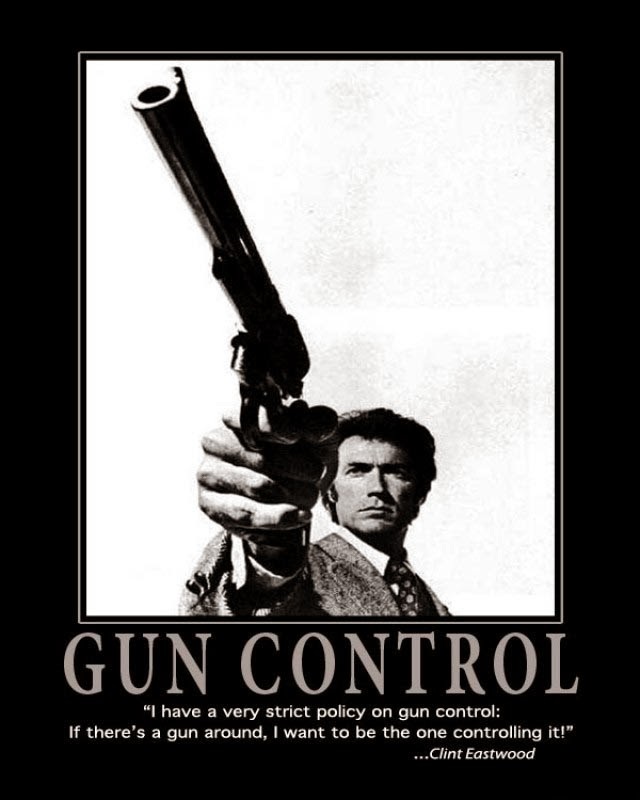 As with Prohibition, a prohibition on guns, a registry of guns, a long waiting period on gun ownership, a limitation on gun ownership and ammunition, etc etc will only create a thriving and creative black market which will only make sure that most criminals and super bad guys (and syndicates, such as terrorist organizations) will get lots of them while honest, law-abiding, vulnerable people which characterizes the overwhelming majority of Americans who now take huge risks now every time they venture out of their homes and go into public places, will have none. I offer these comments as someone who is equally passionate in preventing the federal government from taking our rights away or even burdening them in any way. It’s always a slippery slope to even give in just a little. Remember, the Second Amendment is Freedom’s Strongest Guarantee !! Impending Federal Gun Control Laws or Confiscation: States Don’t Fail Us Now ! Obama appears to be intent on burdening the second amendment – a fundamental and essential right of a free people. The States need to decide where they stand: Either they will protect its people or the country is exactly what Abraham Lincoln envisioned – a country where the states are irrelevant and the federal government reigns absolutely supreme. The States (and the local sheriffs) are the last line of defense between a rogue federal government and the People. The federal government appears to become more unhinged from the Constitution with each passing day and this should scare everyone. The need to erect lines of protection becomes ever more urgent. And this is where the States and sheriffs need to step in. They need to make clear that they will NULLIFY and INTERPOSE should the federal government attempt to infringe the right of the people to have and bear arms. We know what will be right around the corner should that happen… We only need to look at what happened to the unfortunate people of totalitarian regimes whose leaders confiscated guns. In this country, Patrick Henry explained it better than anyone else. A people who can’t defend themselves cannot assert their rights against the government and are therefore doomed to surrender them. In 1775, after the British Crown and Parliament set out to punish the colonies for their “rebellious spirit” in frustrating its taxation schemes and its conduct in tossing tea overboard in Boston Harbor in protest of the monopoly established by the Tea Act by imposing the series of laws known as the Coercive Acts (unaffectionately referred to as the “Intolerable Acts” by the colonists), the colonies sought to appeal King George III to interpose on their behalf and end the arbitrary and oppressive treatment of them. In September 1774, the First Continental Congress met in Philadelphia to address the colonies’ collective response to the Intolerable Acts. On October 25, it drafted a respectful response to the King, which would be known as the “Declarations and Resolves” and delegates were then dispatched to present them to him in person. Despite the anger that the colonies felt towards Great Britain after Parliament enacted the Coercive Acts, our first Congress was still willing to assert its loyalty to the king. In return for this loyalty, Congress asked the king to address and resolve the specific grievances of the colonies; in particular, it asked that the Acts be repealed. The petition, written by Continental Congressman John Dickinson, laid out what Congress felt was undo oppression of the colonies by the British Parliament. King George would ignore the Declarations and Resolves and rather, he would use them to mock the colonies. He laughed, claiming that while they publicly pledged their loyalty to him, they were probably preparing for armed revolution. He found them ingenuous and not very clever. [Approximately eight months after the Declarations were presented to King George and without any response, on July 6, 1775, the Second Continental Congress adopted a resolution entitled “Declaration of the Causes and Necessity of Taking Up Arms.” On October 27, 1775 that King George appeared before both houses of the Parliament to address his concern about the increased rebellious nature of the colonies. He described the colonies as being in a state of rebellion, which he viewed as a traitorous action against himself and Britain. He began his speech by reading a “Proclamation of Rebellion” and urged Parliament to move quickly to end the revolt and bring order to the colonies. With that, he gave Parliament his consent to dispatch troops to use against his own subjects – the very people who looked to him for respect and protection]. On March 23, 1775, Patrick Henry attended a meeting of the Second Virginia Convention, with a very important issue he intended to address. It would be the second convention held after the Royal Governor of Virginia dissolved the colonial legislature, the House of Burgesses, for its solidarity with Massachusetts (after Parliament closed the port of Boston as punishment for the Boston Tea Party). The House of Burgesses would continue to meet, albeit in secret, but would operate in convention (These would serve as Virginia’s revolutionary provisional government). While he knew the King had ignored the respectful petition by the First Continental Congress and had continued to treat them without the reserved rights afforded all English subjects, Henry could not know for sure that he would authorize military action against them. But he certainly saw it coming. Henry was convinced that war was around the corner. And he arrived at the Virginia Convention determined to persuade his fellow delegates to adopt a defensive stance against Great Britain. On that fateful evening of March 23, he put forward a resolution proposing that Virginia’s counties raise militiamen “to secure our inestimable rights and liberties, from those further violations with which they are threatened.” The suggestion of forming a colonial militia was not shocking in itself. After all, other colonies had already passed similar resolutions and had begun forming militias. And Henry himself had already taken it upon himself to raise a volunteer outfit in his home county of Hanover. Nevertheless, his proposal was not met with the approval he had hoped for. Many in the audience were skeptical at approving any measure that might be viewed as combative. Britain, after all, was the strongest military power in the world. They still held out hope for a peaceful reconciliation. After several delegates had spoken on the issue, Patrick Henry rose from his seat in the third pew and took the floor. A Baptist minister who was present that evening would later describe him as having “an unearthly fire burning in his eye.” Just what happened next has long been a subject of debate. Henry spoke without notes, and no transcripts of his exact words have survived to today. The only known version of his remarks was reconstructed in the early 1800s by William Wirt, a biographer who corresponded with several men that attended the Convention. According to this version, Henry began by stating his intention to “speak forth my sentiments freely” before launching into an eloquent warning against appeasing the Crown. I consider it as nothing less than a question of freedom or slavery; and in proportion to the magnitude of the subject ought to be the freedom of the debate. It is only in this way that we can hope to arrive at truth, and fulfill the great responsibility which we hold to God and our country. Should I keep back my opinions at such a time, through fear of giving offense, I should consider myself as guilty of treason towards my country, and of an act of disloyalty toward the Majesty of Heaven, which I revere above all earthly kings. Mr. President, it is natural to man to indulge in the illusions of hope. We are apt to shut our eyes against a painful truth, and listen to the song of that siren till she transforms us into beasts. Is this the part of wise men, engaged in a great and arduous struggle for liberty? Are we disposed to be of the number of those who, having eyes, see not, and, having ears, hear not, the things which so nearly concern their temporal salvation? I have but one lamp by which my feet are guided, and that is the lamp of experience. I know of no way of judging of the future but by the past. And judging by the past, I wish to know what there has been in the conduct of the British ministry for the last ten years to justify those hopes with which gentlemen have been pleased to solace themselves and the House. Is it that insidious smile with which our petition has been lately received? Trust it not, sir; it will prove a snare to your feet. Suffer not yourselves to be betrayed with a kiss. Ask yourselves how this gracious reception of our petition comports with those warlike preparations which cover our waters and darken our land. Are fleets and armies necessary to a work of love and reconciliation? Have we shown ourselves so unwilling to be reconciled that force must be called in to win back our love? Let us not deceive ourselves, sir. These are the implements of war and subjugation; the last arguments to which kings resort. I ask gentlemen, sir, what means this martial array, if its purpose be not to force us to submission? Can gentlemen assign any other possible motive for it? Has Great Britain any enemy, in this quarter of the world, to call for all this accumulation of navies and armies? No, sir, she has none. They are meant for us: they can be meant for no other. They are sent over to bind and rivet upon us those chains which the British ministry have been so long forging. And what have we to oppose to them? Shall we try argument? Sir, we have been trying that for the last ten years. Have we anything new to offer upon the subject? Nothing. We have held the subject up in every light of which it is capable; but it has been all in vain. Shall we resort to entreaty and humble supplication? What terms shall we find which have not been already exhausted? Let us not, I beseech you, sir, deceive ourselves. Sir, we have done everything that could be done to avert the storm which is now coming on. We have petitioned; we have remonstrated; we have supplicated; we have prostrated ourselves before the throne, and have implored its interposition to arrest the tyrannical hands of the ministry and Parliament. Our petitions have been slighted; our remonstrances have produced additional violence and insult; our supplications have been disregarded; and we have been spurned, with contempt, from the foot of the throne! In vain, after these things, may we indulge the fond hope of peace and reconciliation. There is no longer any room for hope. If we wish to be free– if we mean to preserve inviolate those inestimable privileges for which we have been so long contending–if we mean not basely to abandon the noble struggle in which we have been so long engaged, and which we have pledged ourselves never to abandon until the glorious object of our contest shall be obtained–we must fight! I repeat it, sir, we must fight! An appeal to arms and to the God of hosts is all that is left us! They tell us, sir, that we are weak and unable to cope with so formidable an adversary. But when shall we be stronger? Will it be the next week, or the next year? Will it be when we are totally disarmed, and when a British guard shall be stationed in every house? Shall we gather strength by irresolution and inaction? Shall we acquire the means of effectual resistance by lying supinely on our backs and hugging the delusive phantom of hope, until our enemies shall have bound us hand and foot? Sir, we are not weak if we make a proper use of those means which the God of nature hath placed in our power. The millions of people, armed in the holy cause of liberty, and in such a country as that which we possess, are invincible by any force which our enemy can send against us……. There is no retreat but in submission and slavery! Our chains are forged! It is in vain, sir, to extenuate the matter. Gentlemen may cry, Peace, Peace– but there is no peace. The war is actually begun…… Is life so dear, or peace so sweet, as to be purchased at the price of chains and slavery? Forbid it, Almighty God! I know not what course others may take; but as for me, give me liberty or give me death! Less than a month later, shots would be fired at Lexington and Concord. The war that Henry saw coming had finally begun. Americans still consider themselves a free people. And Americans still want to believe their government believes in their right to be so. But the one problem is that most Americans believe their “government” to be the federal government. A people who understand the foundations and underpinnings of liberty and freedom know that the federal government is not their government but rather their state government is their government. The federal government primarily serves the states, or at least, it was intended that way. Yet for limited objects, expressly defined in Article I, Section 8, its legislation can touch the people. The American states, after fighting and winning a costly war for their independence, had to decide on the best form of government to embrace the values they proclaimed in the Declaration of Independence. They asserted the same rights that the British held dear and which they fought to defend, spanning hundreds of years, but their task was to secure them more firmly so that their posterity – “millions yet unborn and generations to come” (from the anti-Federalist paper, Brutus I) – would enjoy the same degree of freedom. They didn’t want Americans to endure the same tortured history as the British, who enjoyed freedom under benevolent kings but oppression and even death under tyrants. Freedom, according to Thomas Jefferson, including as alluded to in the Declaration of Independence, was the right to be free from an aggressive or oppressive government. To that end, the government established by the Constitution of 1787, with powers limited in DC and balanced by the bulk of powers retained by the states, with its separation of powers and elaborate system of checks and balances, with its week judicial branch, and with a Bill of Rights, was believed to provide the best system to preserve the rights they fought for. Furthermore, in America, rights are understood to be inalienable, endowed by our Creator. In Britain, on the other hand, rights are those generously granted by government. Rights were only those limitations on government that Kings recognized by a signature on a charter. The US Bill of Rights, modeled after the English Bill of Rights of 1689, exists to protect the individual against the government. Included in our Bill of Rights are the rights to be free from a national religion, the right to the free exercise of one’s religion and the rights of conscience. It includes the right of free speech, the right of assembly, the right to a free press, the right to petition the government, the right to have and bear arms, the right to be free in one’s home, papers, and effects from unreasonable searches and seizures, the right to a jury trial, various rights of a person accused of a crime, the right not to have one’s property arbitrarily confiscated by the government, the right to be free from cruel and unusual punishment, and others. The second amendment is currently under unrelenting attack by our current administration, with Obama leading the charge. Just two days ago, he spoke not only about the need for gun control but hinted about possible confiscation. When Obama spoke in reaction to the heinous October 1 attack on Umpqua Community College, in Oregon, he went beyond his usual calls for more gun control and suggested instead that the United States consider following the path taken by Australia and Great Britain. What Obama didn’t clarify is that Australia has no constitution nor does it have a Bill of Rights. The rights of the people are not absolute. Great Britain, which also does not have a constitution, per se, does protect gun rights to some degree in its Bill of Rights of 1689. That document allowed for Protestant citizenry to “have Arms for their Defense suitable to their conditions and as allowed by law,” and restricted the right of the English Crown to have a standing army or to interfere with Protestants’ right to bear arms “when Papists were both armed and employed contrary to Law.” It also established that regulating the right to bear arms was one of the powers of Parliament and not of the monarch. Thus, the right was not absolute and it was clearly articulated as such. In fact, Sir William Blackstone wrote in his Blackstone’s Commentaries on the Laws of England (1765) about the right to have arms being auxiliary to the “natural right of resistance and self-preservation,” but subject to suitability and allowance by law. What is that history? Our Founding Fathers, having just broken away from Great Britain, understood the new federal government they were ratifying might one day become just as tyrannical. If it had the authority to control citizen access to firearms, then it could disarm them, just as the British attempted to do. This would make any attempts to restore liberties futile. The second amendment was specifically included in the Bill of Rights to prevent this. James Madison, the father of the Constitution, said in 1789 that “A well-regulated militia, composed of the body of the people, trained to arms, is the best and most natural defense of a free country.” When the Founders wrote of a “well regulated” militia, they meant that militias needed to be well-regulated through training and drilling in order to be effective in battle. It was merely common sense. This could only happen if citizens had unrestricted access to firearms. The Second Amendment’s guarantee of an individual’s right to have and bear arms is the right which secures all other rights. The First Amendment protects the other rights by permitting the speech and the expression, and the assembly and the petition and the use of the press to call out the government when it tramples on those rights, but the Second Amendment, with its force, is able to secure them, should the government ignore the former. In other words, when the First Amendment fails, the Second is there to preserve and secure the people in their liberty. The Preamble to the Bill of Rights expresses the States’ intention in demanding a Bill of Rights as a condition to ratification. It reads: “The Conventions of a number of the States, having at the time of their adopting the Constitution, expressed a desire, that in order to prevent misconstruction or abuse of its powers, further declaratory and restrictive clauses should be added, which shall extend the ground of public confidence in the Government, and will best ensure the beneficent ends of its institution” According to the Preamble, the federal government is PROHIBITED from even contemplating the issue of abridging the rights guaranteed in the second amendment. The liberty rights contained in the Bill of Rights demand an ABSOLUTE BAN by the federal government action in those areas. Being that the Supreme Court has been in the business of enlarging the rights contained in those amendments (ie, privacy rights, for example, rights of criminals), we can assume that our right to have and bear arms is similarly enlarged. Although the Bill of Rights was adopted after the Constitution was ratified, it was the absolute assurance by James Madison that he would draft a Bill of Rights and have it submitted and adopted by the First US Congress (June 8, 1788) that convinced several skeptical, and important, states to finally ratify. In other words, BUT FOR the fact that a Bill of Rights would be added to the Constitution to further protect the rights of the People and the States, the Constitution would never have been adopted and the Union, as we know it, would not have been formed. After the delegates concluded their convention in Philadelphia in September 1787, it was clear that the Constitution that had been written was not very popular (particularly with the anti-Federalists). Some very important delegates refused to even sign it and some promised to do all they could to prevent its ratification by the states. Edmund Randolph and George Mason (both of VA), Elbridge Gerry (of MA), John Lansing and Robert Yates (both of NY), and Martin Luther (of DE) all refused to sign because of a lack of Bill of Rights and a deep concern that the government created would endanger the rights of the States. Yates would go on to write some of the strongest anti-Federalist essays, under the pen name Brutus, and fellow New Yorker, Governor George Clinton, would write some as well (under the name Cato). Two of our most important Founding Fathers, Patrick Henry and Richard Henry Lee, although asked to be delegates to the Convention, declined because they were suspicious of those running the Convention (namely Madison, whom they suspected to have ambitious plans for the meeting). They believed a government stronger than the Articles would compromise the sovereignty of the States. Indeed, it was unclear whether the Constitution would be ratified by the States. The Constitution was in deep trouble in the conventions of four states – Virginia, New York, Massachusetts, and North Carolina. They were some of the biggest states. The first three were the most important and influential of the States. Without the guarantee of a Bill of Rights, those states were not going to ratify. The formation of a “more perfect union” appeared to be in jeopardy. Even with the guarantee, the votes for ratification were by a fairly slim margin. North Carolina had rejected the Constitution outright. It was not until a Bill of Rights was added that it called another ratifying convention to take another vote. Does anyone believe that a constitution that expressly created a government as large, bloated, concentrated, oppressive, arrogant, monopolistic, and corrupt as the one in existence today would have been drafted and produced by the delegates to the Constitutional Convention of 1787? Does anyone believe that the delegates in attendance at that convention, the great leaders of our founding generation, knowing their concerns to respect the spirit of the Revolution and to protect their state sovereignty (and yield as little sovereign power as possible), would have drafted and signed such a document? And even if such a document would have been produced at the Convention, does anyone believe a single State would have ratified it and surrendered essentially all of its sovereignty? NO WAY !! There is no way that Virginia or New York or Massachusetts or North Carolina would have ratified it. NO WAY! None of them would have ratified it. And yet we’ve allowed the government – what it’s become – to assert, unchallenged, that whatever it does and says is the supreme law of the land. Tyranny is defined as the action of an unjust and oppressive government. For a country that defines the boundaries of government on its people through a written constitution, tyranny occurs when unconstitutional laws are forced – enforced – on the people. After all, when a government assumes powers not delegated to it, it naturally has to usurp them from their rightful depository, which in the case of the United States is the States and the People. Our government – all three branches – continue to act to mock individual liberty and states’ rights. Certainly our president does so at every given opportunity. Our government – all three branches – continues to act to ignore and frustrate the will of the People even though a democracy is their birthright. As Daniel Webster once wrote: “It is, Sir, the people’s government, made for the people, made by the people, and answerable to the people.” (note that this quote is the forerunner to Lincoln’s famous line in the Gettysburg Address). Gun Rights mark a line in the sand. That line represents a tolerance of government that absolutely cannot be crossed. If government should attempt gun control that burdens or attempt confiscation, the line will have been crossed. The Supreme Court WOULD HAVE TO IMMEDIATELY STRIKE THAT ACTION DOWN. Hell, the Supreme Court has held over and over again that any action by government that should happen to burden even ever so lightly a woman’s right to have an abortion cannot be tolerated. And an abortion actually and absolutely KILLS another human being – an innocent and helpless one. The right to an abortion is NOT mentioned in the Constitution and certainly NOT in the Bill of Rights. The right to have and bear arms is. It is addressed plainly and without condition or pre-condition in the second amendment. By applying the same rational as the Court uses to ensure women their unfettered right and access to an abortion, the government MUST NOT in any way, shape, or form burden an individual’s right to have and bear arms. The right to bear arms is rooted in the natural rights of self-defense and self-preservation. The right to have an abortion is rooted in the selfish goal of convenience. We hold these truths to be self-evident, that all men are created equal, that they are endowed by their Creator with certain unalienable Rights, that among these are Life, Liberty and the pursuit of Happiness.–That to secure these rights, Governments are instituted among Men, deriving their just powers from the consent of the governed, —That whenever any Form of Government becomes destructive of these ends, it is the Right of the People to alter or to abolish it, and to institute new Government, laying its foundation on such principles and organizing its powers in such form, as to them shall seem most likely to effect their Safety and Happiness. Should the government attempt to burden or deny the American people of their gun rights, our natural right of self-defense (even from our own government) and self-preservation (to live free, as our Creator endowed us and as nature intended) allows us to dissolve our government – that is absolve us from allegiance to it – and establish a new government that is dedicated to the protection of our God-given liberties. Personally, I believe the Constitution is perfect; it just needs verbage that makes it absolutely clear that its very terms are its limitations, there are no elastic clauses or implied powers, there is no independent legislative power attached to the General Welfare or Necessary and Proper clauses, no object expressly delegated to the legislative branch is allowed to be delegated to an un-elected group of people, Congress is expressly forbidden to tax and spend for any reason other than what is listed expressly in Article I Section 8, a provision should be included to give the states the power to audit the spending budget of the government for strict constitutionality, a provision should be added to require Congress to balance its budget every year, the Supreme Court can only offer an opinion which is subject to an appeal to the State courts, the “Wall of Separation” is removed from federal court jurisprudence, the president’s powers must be severely limited by additional language in the Constitution, presidents will no longer be allowed to issue executive orders, the bar for impeachment of a president will be lowered and in certain cases Congress MUST issue articles of impeachment and seek to remove him, consequences will be provided for in the Constitution for representatives and officials who violate their oath of office, the 14th amendment must be clarified as not intending to include the incorporation doctrine (so that the Bill of Rights once again only applies to the actions of the federal government), the 16th and 17th amendments must be repealed, an outright prohibition and a provision should be added that states that when the federal government over-steps its authority that threatens the balance of power between federal government and the states, it shall be viewed as a fatal breach of the compact that binds the states and as such they have the option of dissolving their allegiance. However, if the Constitution cannot be amended to assure that a future government remains adherent to its limits, then James Madison has set the example for us. We don’t have to “amend” the Constitution if we believe it to be seriously flawed. We can simply start from scratch. Our government has been intent on enlarging and redefining its powers almost from the very beginning. It has done everything it has wanted to do to achieve the things it believed it needed to do or simply wanted to do (as in Barack Obama’s case). A government dependent on the separation of powers for proper functioning has become a government monopoly to ignore proper functioning in order to become what the British Kings used to be…. Supreme, domineering, coercive, and oppressive. The people’s government has been replaced by the government’s government. Liberty-loving Americans have been disposed to suffer long enough. Threats to take away our gun rights, however, would be the final straw. Should Obama and his administration do more than simply talk about gun control and possible confiscation, it would be incumbent upon the states to NULLIFY any legislation or policy and then INTERPOSE for the protection and security of the People to have and bear arms. The next step, should the government fail to back down, would be to declare the federal action or actions to constitute a FATAL BREACH of the compact that brought the states together in the union and therefore the bonds of allegiance are severed and the Union creating the “United States” is thereby dissolved. The federal government would therefore have no jurisdiction except within the District of Columbia, I suppose. The states need to act – NOW. Each state needs to adopt resolutions and enact legislation protecting the gun rights of its citizens. Those that respect the second amendment need to start attracting gun manufacturing and ammunition industry to their states. The states need to put the president and the administration, and including the federal courts, on notice of their intentions. If the federal government intends to or attempts to violate the second amendment, the People need to know they can count on their government – that is, their state government. I hope their response will be clear and collective – WE WILL NOT COMPLY… WE WILL NULLIFY! Liberty will require such a response. (i) Boston Port Act, which closed the port of Boston to all colonists until damages from the Boston Tea Party were paid. (ii) Massachusetts Government Act, which gave the British government total control of town meetings, taking all decisions out of the hands of the colonists. (iii) Administration of Justice Act, which made British officials immune to criminal prosecution in America. (iv) The Quartering Act, which required colonists to house and quarter British troops on demand, including in private homes as a last resort. Obama Trashes the Constitution and No One Says a Damn Thing! The history of the federal government is a history of repeated injuries and usurpations, all having in direct object the establishment of an absolute Tyranny over the States and the People. To prove this, let facts be submitted to a candid world by famed constitutional lawyer, author, and conservative talk radio show host, Mark Levin……. My daughter took a pic of it while she was in New Orleans recently and I noted what was inscribed on it. 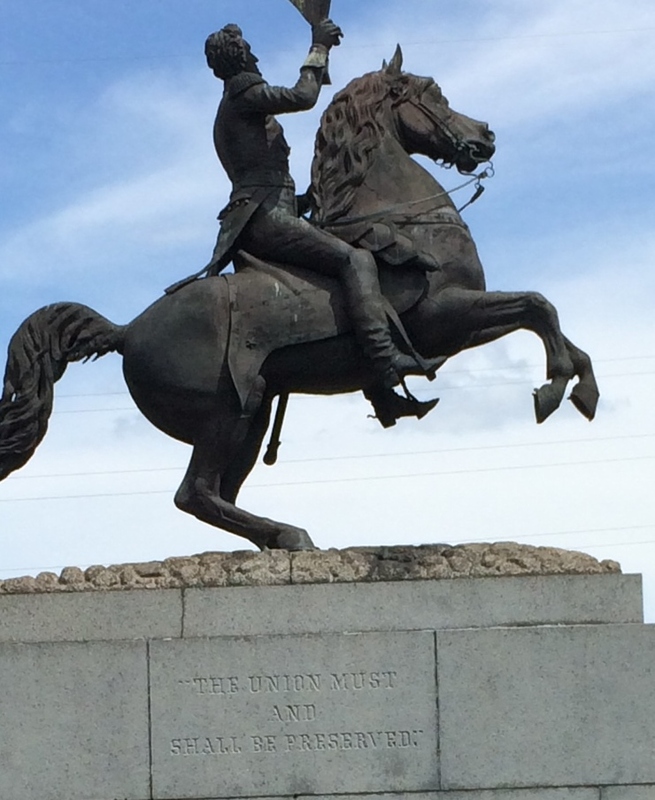 This statue honors Jackson, who apparently was a hero of the Battle of New Orleans. During the Civil War, when Union soldiers occupied New Orleans, the phrase, “The Union must and shall be preserved” was inscribed into the monument’s base. At the time, the Union often used this phrase, referring to Jackson’s support of federal supremacy over state sovereignty. I would demand the statue be taken down as an offensive reminder of the government’s violent attempt to destroy state’s rights, neuter state sovereignty, and shred the Declaration of Independence. The statue is a constant reminder of government coercion and indoctrination, all for the purpose of maintaining the all-powerful federal government. Enough about racism. There are far bigger issues and principles at play. A “Perpetual Union” means a perpetual government. Our Founders never subscribed to that notion. There is a reason the government supports the position that the union was intended to be perpetual, and there is a reason presidents added justices to the federal courts who believe the same way — because then the government has longevity and nothing to fear from the sovereigns that were supposed to be able to hold its future in their hands. Nullification v. Article V Constitutional Convention: Where is the Honest and Open Debate? When the original 13 states came together to discuss the possibility of establishing a confederacy, at the urging of Benjamin Franklin (“Join or Die”), they did so with a great deal of hope, but also a great deal of trepidation. The hope was that a federal government might be formed that could provide greater security and stability to the colonies. The hope was that it might handle the few issues that were common to all the states but which could not be dealt with by the states individually. The fears, on the other hand, were that this government might come to gain an enormous amount of power; that this power might come to be concentrated in the hands of very few; and that the federal government as a whole might end up overreaching its authority and end up meddling in affairs that ought rightly to be left to the states and the various local governments (if not individuals themselves). The Constitution created a limited government, which is evidenced in four obvious ways: (1) The Constitution was framed in such a way that the power of the federal government would be split between three separate branches – each acting as a check-and-balance on the power of the others; (2) The power of the federal government as a whole was limited to certain specific areas; (3) Government power structure was split between two co-equal sovereigns – the individual states and the federal government (emphasized or restated by the Tenth Amendment); and (4) A Bill of Rights (“further declaratory statements and restrictive clauses to prevent the government from misconstruing or abusing its powers..”) to put further limitations on government power. For 200 years, this structure has been eroded, always at the hand of the federal government. After numerous overt acts of usurpation, constitutional amendments, and loose interpretations of the Constitution itself, each of the branches of government has managed to seize more power than it was ever meant to have. Now, as we see and feel most acutely, the federal government involves itself in matters that are neither federal in nature nor are subject to its jurisdiction. It insinuates itself into virtually every aspect of public and private life, including political, economic, and social. When we listen to a young mother in Alabama cry because the new healthcare mandate has increased her insurance premiums each month by over $100 and has presented her with a dilemma that is causing her great heartache and distress (she wants to work and do the right thing, but if she does, she can’t afford the increase in healthcare premiums, and so she is faced with the choice that puts and her family on welfare), then we understand how destructive the government has become and how far it has strayed from its intended purpose. Those who support Nullification have put the alert out years ago. They assert that the federal government can rightfully be divested of such unconstitutional power by having the States call the government out on its conduct and refusing to enforce unconstitutional laws. But Nullification is not a term or a concept that the average American has heard before and so it has not been roundly embraced. But it is catching on finally. In fact, support is growing exponentially. As more and more people (Thomas Woods and Mike Church, for example) and groups (The Tenth Amendment Center) educate those who are willing to listen, audiences are finding that it makes sense and is indeed a constitutional and viable remedy. 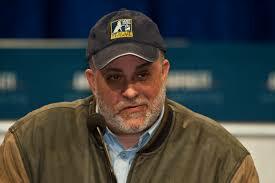 And then there are others, such as famed radio personality, Mark Levin, who advocate for a different approach. Mr. Levin recently wrote a book entitled “The Liberty Amendments: Restoring the American Republic,” in which he proposes what he believes is the ONLY viable solution to restoring constitutional governance, which is an Article V State Convention. Importantly, in neither case does the Article V amendment process provide for a constitutional convention. The second method, involving the direct application of two-thirds of the state legislatures for a Convention for proposing Amendments, which would thereafter also require a three-fourths ratification vote by the states, has been tried in the past but without success. Today it sits dormant. Levin then goes on to propose a set of eleven (11) Amendments – which he terms “Liberty Amendments” – that an Article V Convention might want to propose in order to rebalance the government (the creature created by the Constitution): These proposed Amendments include: (1) term limits for members of Congress; (2) the election of Senators to be returned to state legislatures; (3) term limits for Supreme Court Justices (and the opportunity for federal and state legislatures to override Supreme Court decisions with a supermajority); (4) limits on federal spending (with an eye to curbing federal debt); (5) limits on taxation; (6) limits on how much power Congress can delegate to the federal bureaucracy; (7) limiting the federal government from interfering with economic activity that does not pertain to interstate or international trade; (8) requiring the government to compensate property owners for the devaluation of property caused by regulations; (9) allowing the states to amend the constitution directly (without having to go through Congress); (10) granting states the right to overturn the laws and regulations of Congress with a supermajority; and (11) requiring voters to produce photo identification at election booths. Notice that Mr. Levin writes that “in neither case does the Article V amendment process provide for a constitutional convention.” Why would he include that statement? Both conservatives and liberals have routinely referred to an Article V “Convention for proposing Amendments” as a “Constitutional Convention” or Con-Con for well over 30 years, and likely much longer. Is it possible that they ALL have mistakenly assumed that the words “constitutional convention” are found in Article V? Is it possible the government itself is also mistaken? When the Senate Subcommittee on the Constitution of the Committee on the Judiciary held a hearing on November 29, 1979, regarding the role of Congress in calling an Article V convention, the official name of the hearing as published by the Government Printing Office in a 1,372-page document was “Constitutional Convention Procedures.” This hearing was held because the number of states petitioning Congress to hold an Article V convention to propose a balanced budget amendment was rapidly approaching the necessary 34 states. And what about the “populist lovefest,” better known as the Harvard Conference on the Constitutional Convention, held at Harvard on September 24-25, 2011, which was cosponsored by the Harvard Law School and (surprisingly) by the Tea Party Patriots as well? Of course, Levin’s book “The Liberty Amendments” hadn’t been published yet, so the people at Harvard and the Tea Party Patriots didn’t realize that they were using a forbidden phrase, “constitutional convention,” to refer to an Article V convention. Perhaps it’s worthwhile to take a look at that Conference and watch videos of the various panel discussions to understand why holding a constitutional convention could open Pandora’s Box. The host of the Conference, Harvard Professor Lawrence Lessig, and the moderator of the Closing Panel, Richard Parker, both committed populists, advocated for greater democracy in our country. They believe more and more issues should be decided by popular vote. (Parker can trace his political history back to the 1960s organization, Students for a Democratic Society). They believe that holding an Article V constitutional convention will help get them where they want to go. Perhaps the reason Levin wants to deny the validity of the phrase “constitutional convention” is that one of the most persuasive arguments against holding such a convention is based on the contention, the criticism, and indeed the fear that such a convention could become a “runaway” convention based either on the inherent nature of “constitutional conventions” or on what transpired at our original “Constitutional Convention” in 1787. First, the “ratification by three-fourths of the States” requirement of Article V already has failed to prevent undesirable amendments from being ratified. Consider the 16th Amendment (the federal income tax), the 17th Amendment (direct election of senators), and the 18th Amendment (prohibition). All three were ratified by at least three-fourths of the states, but most constitutionalists would likely agree that all three were bad amendments and should not have been ratified. In particular, many constitutionalists think that changing the method of choosing U.S. senators from appointment by state legislatures to direct election by the voters in each state as provided by the 17th Amendment has been extremely damaging to our constitutional republic. James Madison spoke ever so strongly for this important design feature at the Virginia Ratifying Convention, in his rebuttal of Patrick Henry who accused the Constitution of potentially granting too much power to the federal government. “The deliberations of the members of the Federal House of Representatives, will be directed to the interests of the people of America. As to the other branch, the Senators will be appointed by the State Legislatures, and secures AN ABSOLUTE DEPENDENCE OF THE FORMER ON THE LATTER.” The Senate was a direct “federal” element within the very design of the federal government. Its power to refuse to approve a legislative act of the House that is against the reserved powers and interests of States is precisely what the doctrine of Nullification provides. Second, it is hard to predict just how much pressure the American public can put on state legislators or state convention delegates to get some future undesirable amendment or amendments ratified by the three-fourths rule. We all know what happens when big money and special interests groups send out their tentacles. When big money, special interest groups, and political power pour in to try to influence the delegate-selection process and the convention business itself, the people lose their voice. Experience has shown that we can’t trust public servants once they go behind closed doors. We saw what happened with the healthcare bill. Third, it is quite possible that an Article V constitutional convention would specify some new method of ratification for its proposed amendments. After all, our original Constitutional Convention in 1787, an important precedent for any future constitutional convention, changed the ratification procedure for the new Constitution from the unanimous approval of all 13 state legislatures required by the Articles of Confederation to the approval by 9 state conventions in Article VII of the new Constitution. But for those who are not quite comforted by Levin’s argument that Article V provides the very means to control its convention, he offers still another method to ease our concerns about a runaway convention. On page 16, he quotes from Robert G. Natelson, a former professor of law at the University of Montana: “[An Article V] convention for proposing amendments is a federal convention; it is a creature of the states or, more specifically, of the state legislatures. And it is a limited-purpose convention. It is not designed to set up an entirely new constitution or a new form of government.” Too many others, including notable intellectuals, constitutional scholars, and even former US Supreme Court justices beg to disagree on this point. Many constitutionalists will also agree that Levin is encouraging Americans to play with fire by promoting a constitutional convention. Just because the Constitution authorizes Article V conventions to amend the Constitution doesn’t mean that it would be wise at this time in our nation’s history to call one. While pro-Article V convention enthusiasts tell us that this is a great time for an Article V convention because the Republican Party controls 26 of the 50 state legislatures (the Democrats control 18, five are split, and one is non-partisan), and therefore could surely block the ratification of any harmful amendments proposed by an Article V convention, they are omitting from this analysis that very many of the Republican state legislators are not constitutionalists, and could end up in alliance with Democrats to ratify some harmful amendments. Not to mention the likelihood that constitutionalists would be in the minority at the convention for proposing amendments itself. I would also think that Jefferson would conclude that people who think narrowly, as Levin does in his book and in his commentary to promote his book (including the rejection of nullification) are incapable of saving a republic that is on the brink of imploding. We, the people, possessing all power, form a government, such as we think will secure happiness: and suppose, in adopting this plan, we should be mistaken in the end; where is the cause of alarm on that quarter? In the same plan we point out an easy and quiet method of reforming what may be found amiss. No, but, say gentlemen, we have put the introduction of that method in the hands of our servants, who will interrupt it from motives of self-interest. What then?… Who shall dare to resist the people? No, we will assemble in Convention; wholly recall our delegated powers, or reform them so as to prevent such abuse; and punish those servants who have perverted powers, designed for our happiness, to their own emolument. Although there are some ambiguities in this passage, Pendleton appears to be assuring the delegates that if the Constitution turned out not to secure happiness for Americans, then it could be reformed by the “easy and quiet” methods of Article V. However, if the Article V process were to be subverted by “our servants,” the state and federal legislators, then We the People (the sovereign people) would assemble in convention, wholly recall and reform the delegated powers of the Constitution, and punish the offending servants. I would respond by saying that one of the most serious problems Article V poses is a runaway convention. There is no enforceable mechanism to prevent a convention from reporting out wholesale changes to our Constitution and Bill of Rights. Moreover, the absence of any mechanism to ensure representative selection of delegates could put a runaway convention at the hands of single-issue groups whose self-interest may be contrary to our national well-being. A constitutional convention could lead to sharp confrontations between Congress and the states. For example, Congress may frustrate the states by treating some state convention applications as invalid, or by insisting on particular parliamentary rules for a convention, or by mandating a restricted convention agenda. If a convention did run away, Congress might decline to forward to the states for ratification those proposed amendments not within the convention’s original mandate. History has established that the Philadelphia Convention was a success, but it cannot be denied that it broke every restraint intended to limit its power and agenda. Logic therefore compels one conclusion: Any claim that the Congress could, by statute, limit a convention’s agenda is pure speculation, and any attempt at limiting the agenda would almost certainly be unenforceable. It would create a sense of security where none exists, and it would project a false image of unity. Opposition to a constitutional convention at this point in our history does not indicate a distrust of the American public, but in fact recognizes the potential for mischief. We have all read about the various plans being considered for Constitutional change. Could this nation tolerate the simultaneous consideration of a parliamentary system, returning to the gold standard, gun control, ERA, school prayer, abortion vs. right to life and anti-public interest laws? As individuals, we may well disagree on the merits of particular issues that would likely be proposed as amendments to the Constitution; however, it is my firm belief that no single issue or combination of issues is so important as to warrant jeopardizing our constitutional system of governance at this point of our history, particularly since Congress and the Supreme Court are empowered to deal with these matters. Let’s turn away from this risky business of a convention, and focus on the enduring inspiration of our Constitution. The bicentennial should be an occasion of celebrating that magnificent document. It is our basic law; our inspiration and hope, the opinion of our minds and spirit; it is our defense and protection, our teacher and our continuous example in the quest for equality, dignity and opportunity for all people in this nation. It is an instrument of practical and viable government and a declaration of faith — faith in the spirit of liberty and freedom. Constitutional attorney, Publius Huldah, also rejects the Article V Convention as the effective means to restore our country to its intended constitutional republic. She takes the position that as the rightful depositories of government power are the Individuals and resistance to tyranny is not only a natural right but a duty. She therefore supports the rightful remedy of Nullification to enforce obedience to the Constitution. She writes, in her article Mark Levin Refuted: Keep the Feds in Check with Nullification, Not Amendments!, that the Oath of Office, addressed in Article VI, last clause, requires both federal and state officials to support and defend the Constitution. This requires them to refuse to submit to – ie, to nullify! – acts of the federal government which violate the Constitution. “This is how they “support” the Constitution!” As to Mr. Levin’s assertion that an Article V Convention is the proper, safe, and legal mechanism to restore constitutional limitations to a government historically unwilling to abide by them, she argues that while he admitted (on pg. 15 of the book) that the process has the potential to turn into a “runaway” convention, he never successfully explained why Article V can effectively prevent that from happening. How is it that the government can find a way to limit the effect of the first ten amendments when those amendments were intended to limit the government and keep those particular objects OFF LIMITS with respect to the federal government? The powers delegated to Congress are few and defined. The Tenth Amendment provides explicit validation for nullification, “The powers not delegated to the United States by the Constitution, nor prohibited by it to the States, are reserved to the States respectively, or to the people” (emphasis added). In regards to nullification, does the Constitution delegate this power to the federal government? It obviously does not. Does the Constitution explicitly prohibit nullification? It does not. It can now easily be concluded that nullification is a power reserved for the people of their respective states. Jefferson explained that nullification was a natural right belonging to the people and their respective states. Because the Constitution does not expressly prohibit nullification, the federal government cannot deny or disparage this natural right of the people. Again, as Publius pointed out in her article Mark Levin Refuted: “The claims of the nullification deniers have been proven to be false.” The truth, as she brilliantly explains, is that resistance to tyranny is a natural right (the natural right to protect one’s sovereign rights) and Nullification is the rightful tool of resistance. Just as resistance is a natural right, nullification is the natural remedy. Publius is a scholar and is brilliant. Mark Levin is a scholar and is brilliant, as well. The most brilliant men of all are Thomas Jefferson and James Madison, and if you have any doubt of that, then you are all hypocrites for living under the very free society they secured for you. The difference between scholars like Publius and Mr. Levin is which view point they choose to endorse, given their extensive knowledge and understanding. Publius is a scholar of history and of original intent. She understands that the Constitution is not a stand-alone document but is grounded in the principles outlined in the Declaration of Independence and in the doctrine of Social Compact. She is an attorney. Mark Levin is also an attorney and understands history. Unfortunately, he has chosen to ignore some of the background that rounds out the understanding of our founding documents. As we are all aware, there are those who support Mark Levin and those who support those who endorse Nullification. I am troubled that someone as brilliant as Mark Levin can so cavalierly disregard Nullification and resort to the unsophisticated approach of calling those not in his camp a bunch of kooks. This truly troubles me because I believe scholars should be above that and try to promote their points of view through robust discussion and debate. That’s how our Founding Fathers did it. And that was the climate at the Philadelphia Convention which produced the final design of our federal government. The one area that debate and discussion could not produce the just result was with respect to slavery. Georgia and South Carolina simply refused to go along if the concession wasn’t made. Personally, I don’t think one remedy is exclusive over the other; I think the sound approach is finding a way to REPEAL any amendment that increases the power of the federal government and destroys its original design (such as the Sixteenth, Seventeenth, and parts of the Fourteenth amendments) while using NULLIFICATION to frustrate the enforcement of any unconstitutional federal law, policy, or court decision. I think the sound approach is recognizing the POWER that both approaches offer in limiting the power and reach of the federal government (outside its constitutional limits) and using them BOTH for the effective transfer of power back to the People. That’s what it’s all about, right?? And so, with this article, I want to ask all of you to please put the good of the country first and please find the untainted authorities to educate yourselves on Nullification. Jefferson and Madison are good starts – Read the Kentucky Resolutions of 1798 and 1799 and the Virginia Resolution of 1798, as well as Madison’s Virginia’s Report of 1800, but most importantly, read the circumstances under which Jefferson and Madison sought to re-assert the compact/founding principles of nullification…. the government was starting to trample on our Bill of Rights!!) Nullification is a good way to hold the federal government at bay while we figure out the best ways to divest the federal government of its liberty-killing powers. There are valid criticisms of an Article V Convention, and I advance that position with the others. If Mark Levin can PROMISE ABSOLUTELY that a group of state delegates can produce amendments that are clearly limited to transparent goals and which will LIMIT the government (and not in fact enlarge its powers, as some states seem inclined to do), then perhaps we should continue our discussion and debate on the Convention. But I don’t think he can do so. 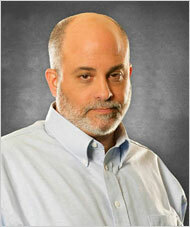 Mark Levin may have personal popularity, powerful friends in the media, the ability to shut down much of the criticism of his book, and a powerful bully pulpit in his radio show and his guest appearances on the top news outlet, but he doesn’t have the same understanding of liberty and its preservation as Thomas Jefferson, James Madison, and our other Founding Fathers had. Nullification must continue not only to be the remedy of choice, but of right. Mark Levin, The Liberty Amendments: Restoring the American Republic, New York, N.Y.: Threshold Editions, 2013, 272 pages, hardcover.